War Waves celebrate the launch of their new EP 'Be Well' with an intimate hometown headline show. 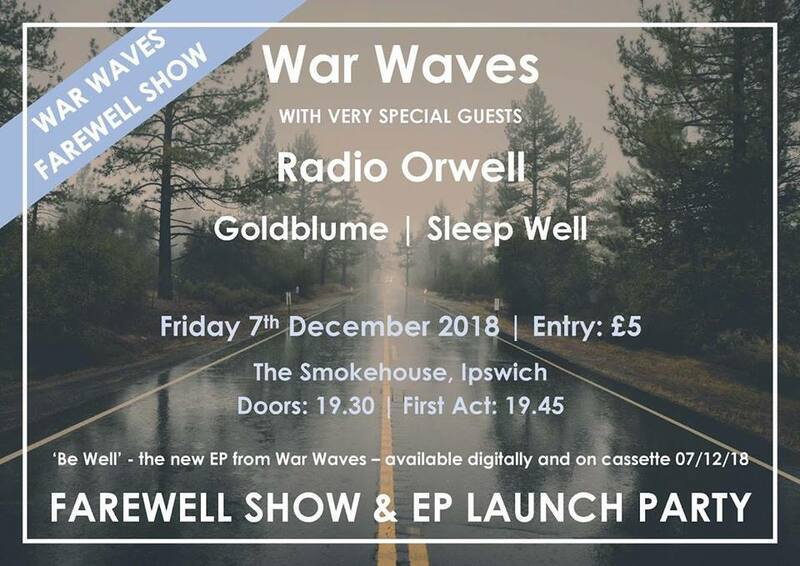 They are joined by very special guests Radio Orwell, Goldblume and Sleep Well. Merchandise and fully licensed bar available.